The cherry blossoms that decorate springtime across Korea are expected to bloom a little earlier this year or at about the same time as last year. 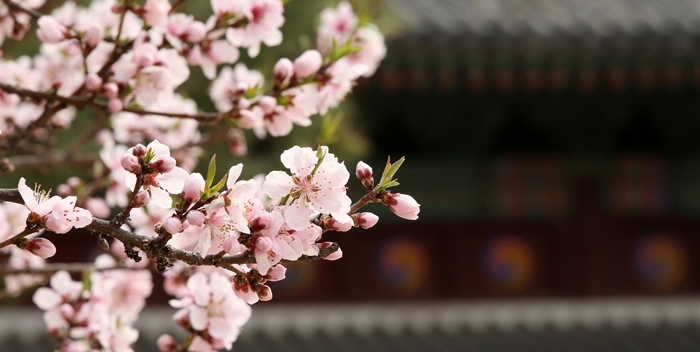 According to private weather forecast services like Kweather, this year’s cherry blossoms are expected to start blooming on Jeju on March 25, spread to the southern parts of the Korean Peninsula, and then move up to Seoul by April 8 or 9. The arrival of the cherry blossoms is generally influenced by the temperature and the weather in February and March. The overall forecast for this year’s wave of cherry blossoms is that it will bloom slightly earlier than or else at the same time as last year, depending on the region. 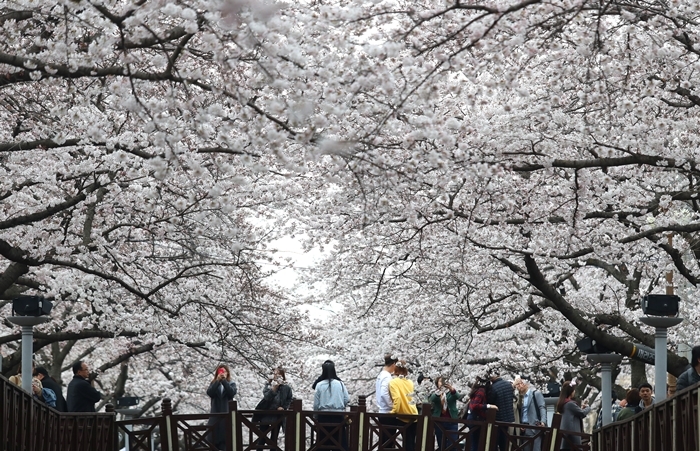 The Korea Meteorological Administration (KMA) has different ways of measuring the arrival of the cherry blossoms, depending on the type of tree, differentiating between so-called sample trees and habitat trees. Once the cherry blossom buds begin to bloom, peak cherry blossom can be enjoyed about one week later. If you want to observe the snowing cherry blossom petals, it’s recommended to visit Jeju after April 1, the southern provinces between April 3 and 11, the central provinces between April 10 and 17, and Seoul on or about April 16. In time for peak cherry blossom, the major cherry tree locations, like the Jinhae Yeojwacheon Stream in Gyeongsangnam-do, the Gyeongju Bomun Tourist Complex in Gyeongsangbuk-do, the Hadong-gun Sanggyesa Temple and the Simni Cherry Blossom Road in Gyeongsangnam-do, and the Yeouido Yungjung-no road in Seoul, will hold festivals to delight springtime picnickers.